How often do you SHOW UP for yourself, with the horses?! One of the most beautiful and repeated Gifts I received from my time with the horses on the coast this summer was a reminder that if we show up in an OPEN & RECEPTIVE state, the horses very often have something that they want to offer us. Basically, we generally show up in some way other than being wide-openly PRESENT and STILL in the moment. This is generally such a habit that we often miss the juicy opportunities that the horses are ready to GIFT us with. Even when I didn’t think I had anything to “work on,” I discovered again and again this summer, that if I showed up and simply opened into Present Moment Awareness, becoming very quiet and still, the horse would begin a process with me, knowing exactly what was next most helpful. 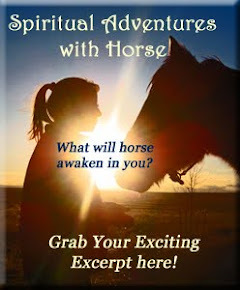 This happened just as often with my own personal healing horse, Serendipity, as it did with a new healing horse friend whom I discovered through this very process at the barn. It was a powerful reminder of all of the wondrous Gifts of Transformation that are awaiting us in every moment, when we choose to Show Up! 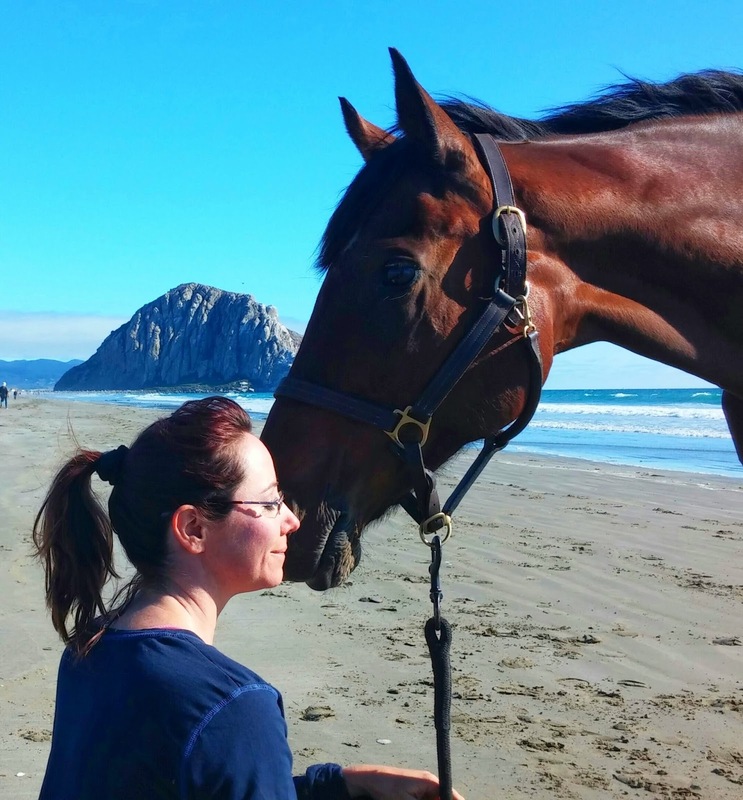 Self-Coaching Questions: How often are YOU gifting yourself that opportunity with the horses? What keeps you from creating that Space for your Self to blossom? What could change so that you regularly gave yourself that Gift so that the horses could offer YOU their support on your journey, so you can become an ever more Magnificent facilitator?! For me, I discovered that nighttime was a magical time to gift my Self the space. 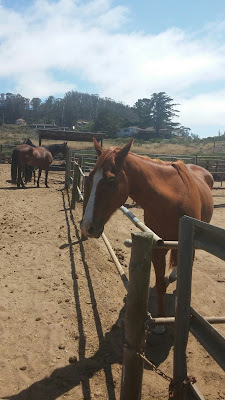 I made a new horse friend at the barn, Jetson, who had never been seen for who he truly was before. Honestly, he was a little depressed that he was going underappreciated in his Golden Years. No one around him knew he had healing gifts to offer. Likely no one in his life beforehand had ever been STILL in his Presence. By simply becoming silent and still and present with him, he began to show me Who He Was. And soon, he began to freely offer me transformative energy. His favorite way to shift energy with me was to stick all of my fingers up his nose! When he did this, I could feel him drawing stuck energy out of my heart, down my arm, and out of my fingers. He did this EVERY time we were together! He also loved to turn his rump toward me and offer me energy from his lower chakras. This horse was SO grateful to finally be able to offer his Gifts that he never, not once, walked away from me, sometimes continuing an impromptu session over the fence for 45 minutes or more. This became somewhat of a nightly ritual for a few weeks and on nights when I decided not to show up in that space, he’d still wait by the fence and offer his Presence. We fell in love that way, each of us seeing each other for who we really were, sharing the transformative Gifts of our Shared Presence. When all was said and done, I marveled at it all, realizing that it couldn’t have happened if I never slowed down enough to get silent and Show Up. 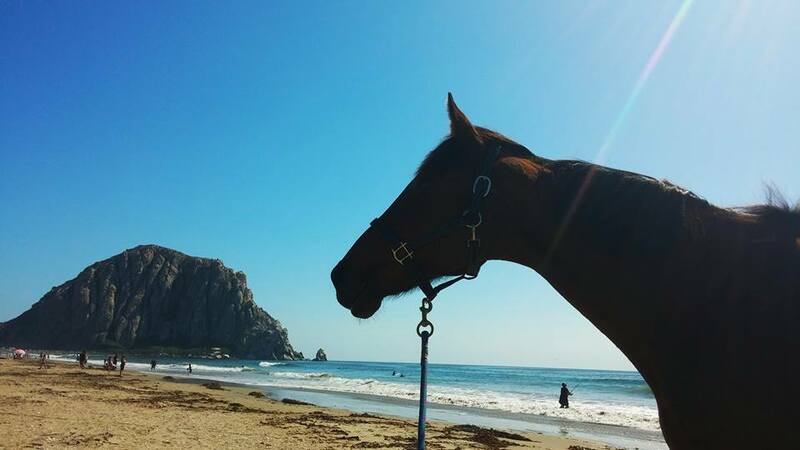 So, the horses and I invite YOU to find some ways to Show Up with them, for YOU. 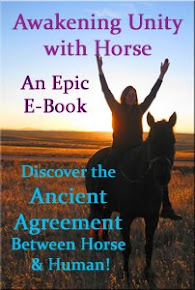 Shall you discover what amazing odysseys they have to offer you on your own journey into Love & Light?! Share! What's your favorite way to SHOW UP with the horses? Please share to inspire others! Comment below.